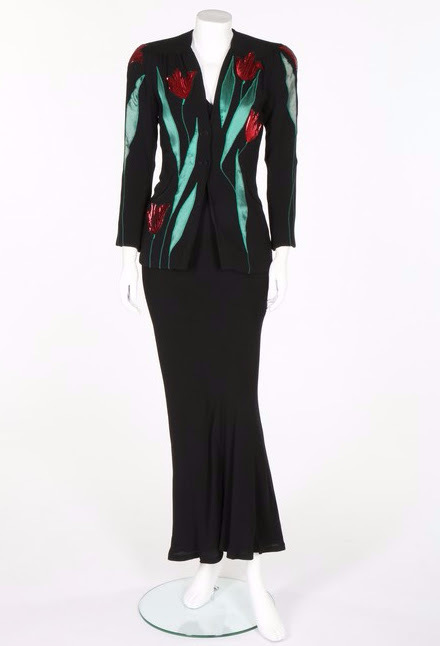 Kerry Taylor auctions, the leading name in antique and vintage fashion auctions, are presenting fashionistas the opportunity to own pieces of fashion history, with items from Celia Birtwell's own personal archive. 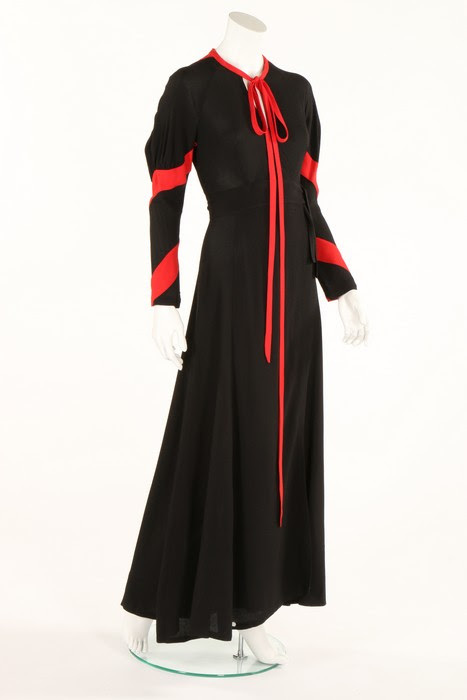 Some of the pieces set to feature were one-offs, made especially for British designer Birtwell. 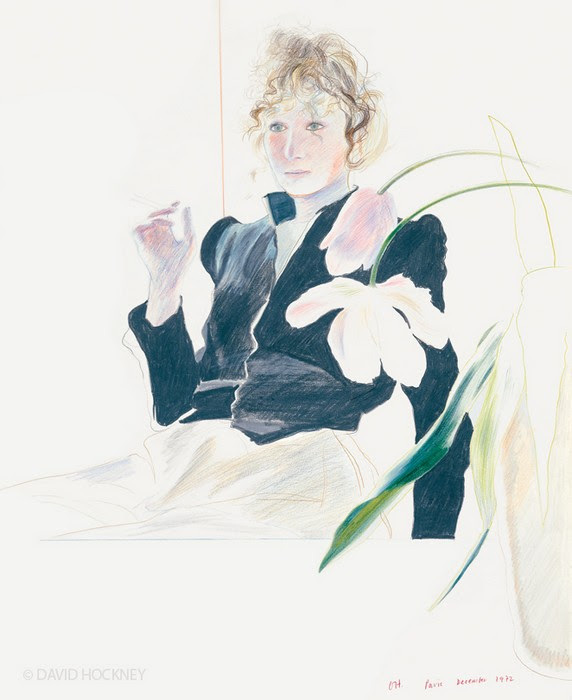 Celia qualified for Salford Art School at the young age of 13 where she began to master her craft for textiles and print fabrics. She met her husband-to-be Ossie Clark in 1959 whilst he was studying at the Regional College of Art. In 1961, the pair moved to London where Ossie studied fashion at the at the Royal College of Art. In 1965 Ossie was named in Vogue as a rising star, which opened the door for him into the fashion world. The duo made their first commercial design collaboration in 1965 at 'Quorum' - the trendy Chelsea boutique owned by Alice Pollock. Clark worked as a designer for the label whilst Celia was commissioned to design a range of fabric prints for the shop. The combination of Ossie's cutting skills with Celia's colourful prints were an instant success. Celia became his muse as well as colleague and in 1969 they were married. During the mids 1960s to 1970s, Clark was the ultimate name in London fashion, earning the nickname 'King of the King's Road' for his contributions to the fashion scene. 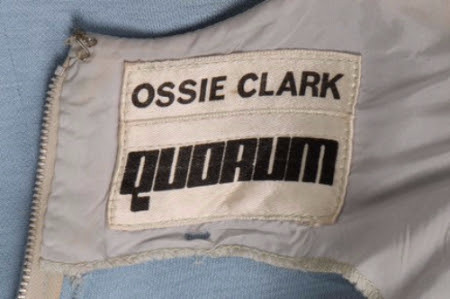 The Ossie Clark fashion shows were the place to be seen, stories of stoned models dancing their way on the catwalk to pop music and all night parties earned the Clark fashion label its incredibly cool image. Clark's shows gave birth to the pageantry of the modern catwalk, as prior to this, fashion shows had been sedate affairs with stately mannequins parading up and down holding up numbers. Clark's models were celebrities and style icons in their own rights and included George Harrison's girlfriend Pattie Boyd and Kari Anne Jagger, whilst the audience included the Beatles, Jane Asher, Marianne Faithfull, Yoko Ono, Bianca Jagger and the Rolling Stones. 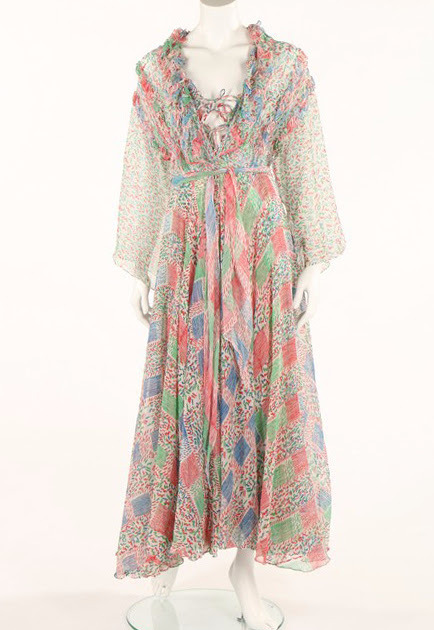 The designs appealed to both men and women and in the late 1960s Keith Richards and Brian Jones of the Rolling Stones were often seen wearing silk shirts and tight satin trousers made from Celia's prints. 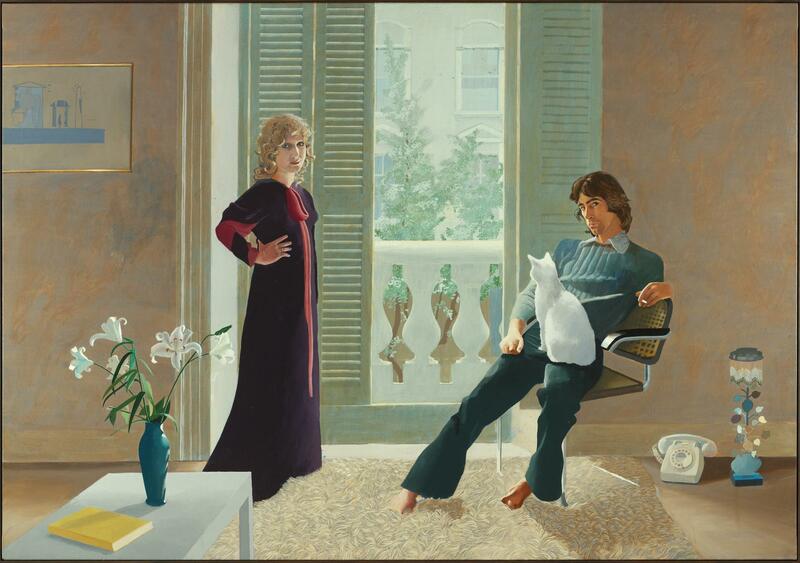 The couple counted David Hockney as a close friend with Birtwell subsequently appearing in numerous Hockney paintings, sketches and photographs wearing many of the clothes included in this sale – the most famous of all being the black and red moss crepe dress seen in Mr & Mrs Clark & Percy, 1970-71. 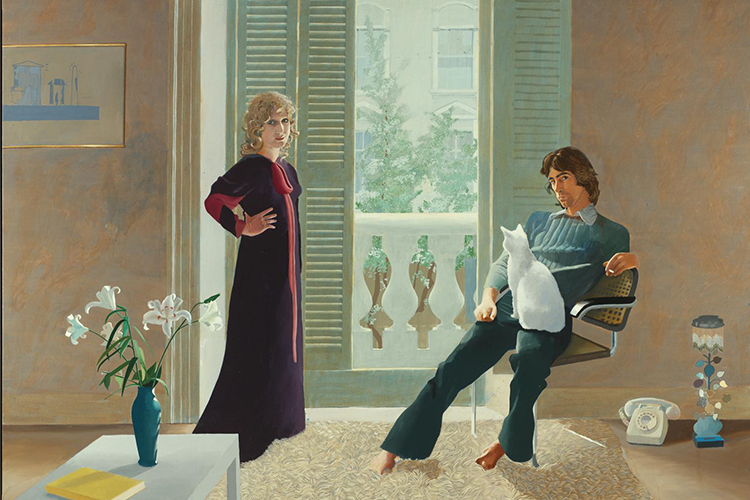 In 2003, the Victoria & Albert Museum organised a major retrospective exhibition of Ossie Clark and Celia Birtwell's work. 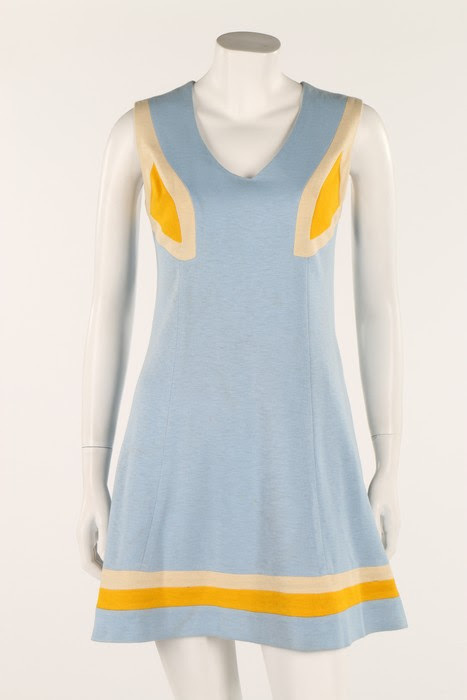 Many of the garments in this auction were featured in that exhibition and were also reproduced in Judith Clark's book Ossie Clark 1965-74 and Celia's own book Celia Birtwell published by Quadrille. The Passion for Fashion sale will be held on 23rd June. Search the sale on Barnebys here.